Would you like to have a “million dollar” bright, white smile? 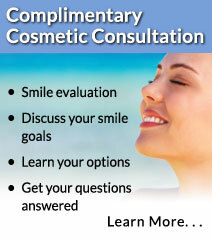 A smile which can improve both your appearance and your confidence? We offer the most advanced ways to whiten teeth that have yellowed due to smoking tobacco, drinking coffee or from just age itself. 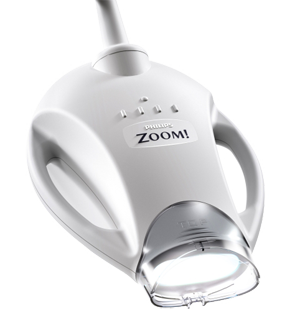 Included among the variety of teeth whitening methods we use to accommodate your needs are Extreme Smile, Zoom!® in-office laser whitening and the Zoom!® at-home whitening system. Extreme Whitening is so effective that even tetracycline-discolored teeth will whiten. This technique consists of custom-made trays that seal in the whitening gel. This technique is a combination of at home whitening and three in-office visits over a period of two weeks. 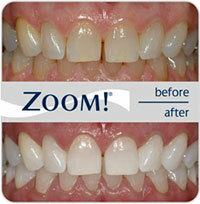 Yellowing teeth can be easily brightened using Zoom! WhiteSpeed. With Whitespeed whitening, we can brighten your smile in no time at all. Whitespeed is fast, safe, effective and offers superior results. Zoom! WhiteSpeed is a scientifically advanced laser teeth whitening procedure applied in-office. It’s the perfect convenient, affordable solution for people seeking immediate results. Now with the most advanced Light Emitting Diode (LED) whitening technology, the results are even better than ever before! We also offer at-home whitening. One of our dentists will make impressions of your teeth to form a customized whitening tray for you. Then they give you a complete explanation of how to use the whitening tubes and tray. We will also offer you a choice of either Zoom! NiteWhite or DayWhite. Under their guidance, both methods can deliver the superior results you want. Whether you choose to whiten your teeth using short daytime sessions or while you sleep, you can get your whitest smile in about one or two weeks.